What a way to celebrate Labor Day. The first Open Beta for the OnePlus 6 is now available! Notably, this update brings the phone up to Android 9 Pie and, along with all of the changes in the latest OS version, it adds some new features, too. This being the initial release, there are some bugs to be expected, but let's take a look through the changelog first. So, that's all pretty self-explanatory. The update to Pie is pretty major, even if you were running the Developer Previews previously. You'll first notice the big changes to the UI, including the status bar icons, notification shade and Quick Settings, the Settings menus, and so on. Hell, even the volume slider is on the left side of the screen, since the rocker is also on the left side of the phone. That's some attention to detail. For gestures, you have the choice between the navbar, OnePlus', and the stock Pie implementation. Unfortunately, the swiping on the fingerprint sensor to bring down the notification shade option is still missing — yet, searching "fingerprint" in the Settings brings up the option for "Fingerprint gesture" in the Buttons & gestures -> Quick gestures menu, but it doesn't show up in that section. And always-on display hasn't appeared yet, either. 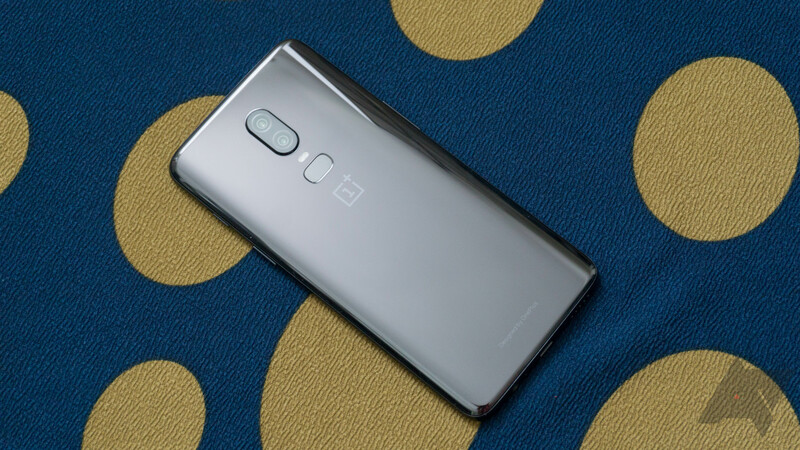 Other notable additions include the Gaming Mode 3.0 (which we saw in the latest Open Betas for the OP5/OP5T), some additional settings for fine-tuning DND, and the much-beloved accent color customization. Now, there are some caveats here. First, going to the Open Beta track is not without its risks, notably that you can't return to stable without a data wipe. You can also expect other oddities and perhaps some diminished battery life. In my experience, the Open Betas start off kind of wonky, but significantly improve over the next few versions. Google Play Store might show "Device is not Certified by Google"
To get started, download the file from the second source link below and move it to the root of your phone's storage. From there, go to Settings -> System updates -> tap the cog in the top-right corner -> Local upgrade -> select the file you just downloaded. Your phone will then treat it like an OTA, installing and prompting you to reboot to finish. Keep in mind that Open Beta 1 is 1.6GB, so it might take a few minutes. This same process applies if you're still on the Pie Developer Preview. Again, installing the Open Beta means that, in order to go back to the stable release, you'll lose all of your personal data. If you're ready to take the plunge, then you can grab the file from the second source link below — fyi, it will begin downloading immediately*. Or, if you'd rather have some control over this process, you can add in the extra step of heading to the OnePlus downloads page first. That'll be the third link.